Last winter, I posed about the SmarTrike Zoo Tricycle that was gifted to our little girl for her first birthday. Being it snowy weather, we had taken a look at it but hadn't set it up just yet. Now, with the arrival of beautiful weather and summer fun, we finally set it up and have been putting it to good use. She just loves it and we think it's pretty cool too. SmarTrike trikes are almost like a four step, tricycle-stroller hybrid - go for walks when baby is small and by age of three they can race around on their own! This summer you can have fun with your little ones with the new SmarTrike Chic 4-in-1 steering tricycle! This upgraded model is the ultimate outdoor experience. It is equipped with patented Touch Steering technology like our Zoo Tricycle, the Chic allows parents to easily control and move the trike with a simple touch. The red navigator button allows for easy transition to child steering, let your kid lead the way! It's 4-in-1 capability allows the trike to grow with your baby from ages 10 months to 3 years old starting with full parental control to independant riding. The SmarTrike Chic comes in pink or black. 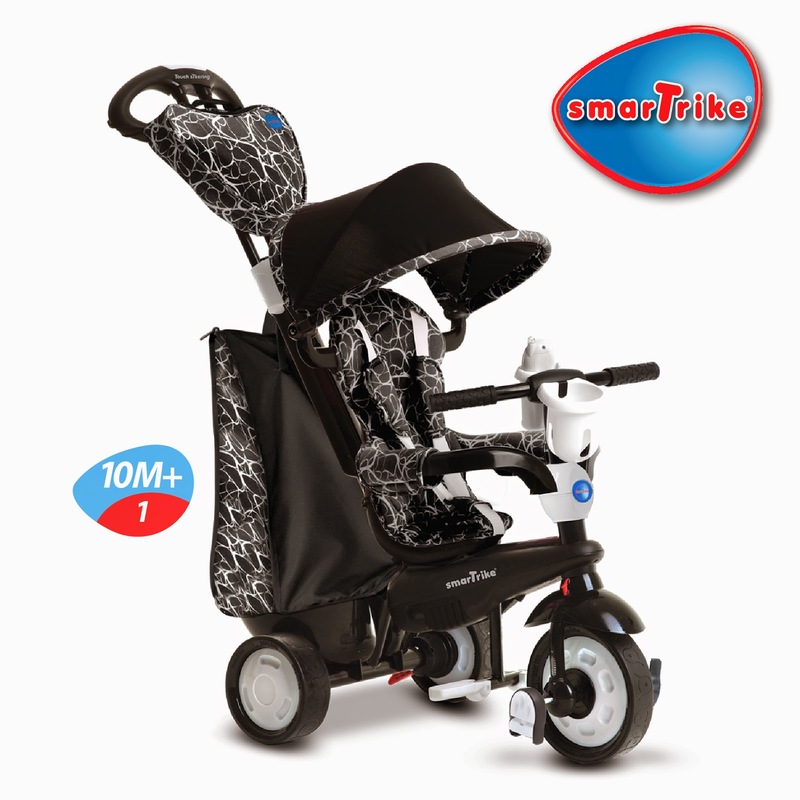 If you are looking for that perfect first trike for your little one or someone you know, take a look at the SmarTrike. 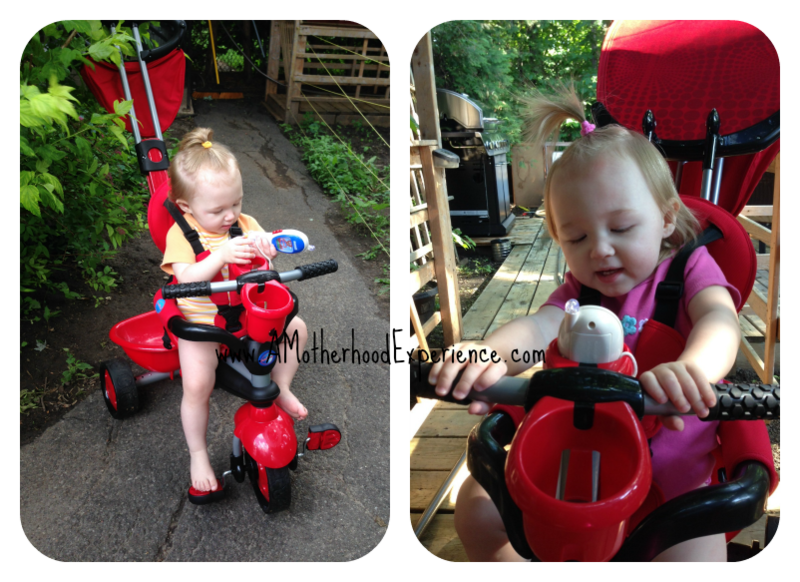 It's easy to use and a fun way for your little one to learn how to ride a trike. For more information about SmarTrike and to see the entire collection of trikes available, please visit www.Smart-Trike.com! Follow @SmartTrike on Twitter and like the SmarTrike Facebook page for the latest updates! 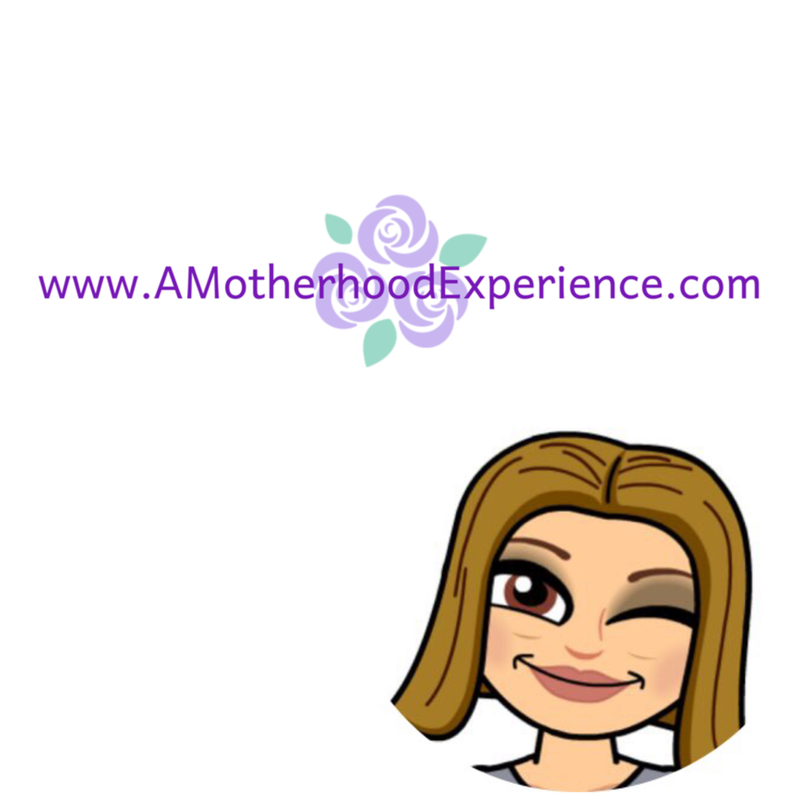 Do you have a little one or know someone who does? How about making their very first trike a SmarTrike! One lucky AME reader has the chance to win a SmarTrike Chic 4-in-1 steering tricycle in black to enjoy! All you have to do is take a look at the rules and enter using the giveaway ballot below! Open to Canadian residents 18+ (excluding Quebec). Mandatory entry must be done for extras to count. One mandatory entry per household. By entering this giveaway you understand that your information is kept private. In the case you should win your information will be shared with representatives of SmarTrike for prizing purposes. Posted on behalf of SmarTrike. Prize sponsored by SmarTrike. All opinions and comments on this blog are those of the author. I would love to win this for my son ad take him for a walk along the river valley. I would like to win this for my god child and I would bring him downtown to the market. I would love this for my daughter, and she would ride on our driveway. I'd love this for my daughter, we'd take it to the local park! I would win this for my daughter, we would go to the park and store. Ashley would adore this for walks around the large pond in our neighborhood. My girls are both too old to use this (4 & 8) but I have quite a few friends that have LO or are expecting and this would make a perfect gift! Would love to win one for my son. We would go for walks just about everywhere if we had one of these. Thanks! I'd like to win this for one of my grandkids and we'd go for a walk along the ocean front! I would like this for my son and we would go to the park. My granddaughter! We'd zoom all over.. I'm sure the beach will be our fav spot! My granddaugher - and we'd go to the park. I would love to win this for my little guys. We would use it our back yard or take it to the park. My daughter. I'd take her and my son to the park at the beach. Would love to win this for my daughter, who loves going to the park! I'd love to win this for my son so we could go around the neighborhood. I would win this for my son and we would go by the lake every day! my daughter - and in our skypark in the building! I want to win this for my son so he could ride it around our neighbourhood streets. I would win this for my baby cousin and go to the park. I'd like to win this for one of my granddaughter and we'd go for a walk to the playground ! I would love to win this for my son and we would take it everywhere from a ride in the neighbourhood and at the park. I would like to win this for my grandson so we can go to the park. I would give this to my youngest grand daughter and take her to the park down the street. I would like to win this for my granddaughter to ride at the farm. This would be for my little guy and I would take him to the 'cookie' store. My youngest, and I would take him for my run! I would love to win this to have it on hand for my granddaughter and my great nephew, I look after both on a regular basis, so this would be perfect! I would take them to the park! My niece would love to ride in this when we go to the park! I would love this for my niece and I would take her to the park, thanks for the opportunity. I would give this to my friend who has 2 little ones.